Wonderful Bradford Court Condo! Conveniently located at the corner of Maryland and Taylor ave. 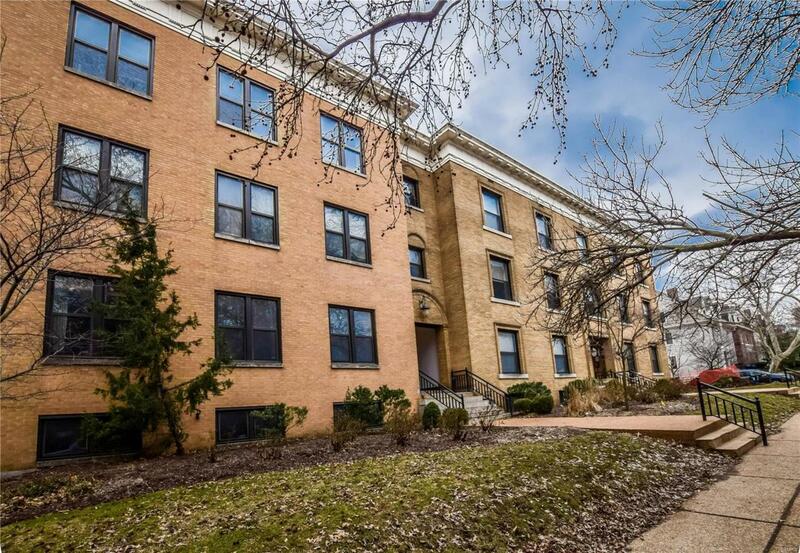 Walk to hospitals, Central West End dining and shopping, Metrolink stops and The Cortex. 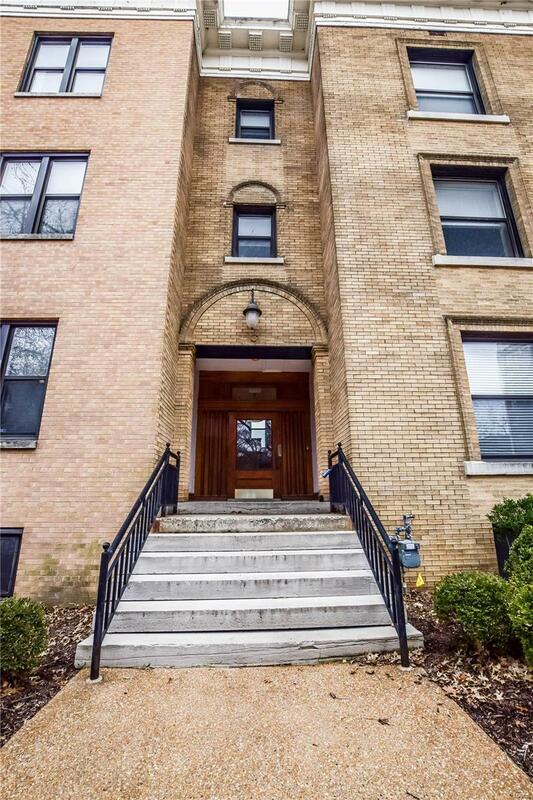 This 2 bedroom 1.5 bath condo is a ground floor, end unit with plenty of bright natural light. Living room features a fireplace, built-in book case/cabinetry and a separate dining area. The updated galley kitchen with stainless steel appliances leads you to a large laundry room w/ washer and dryer (included), and storage area. Includes private, gated and secure parking a patio and common grill area and additional storage room in the basement. Cross Street Address Taylor Ave.